Massachusetts is in hardiness zones 4b to 7a, with winter lows varying from -25 to 0 Fahrenheit. 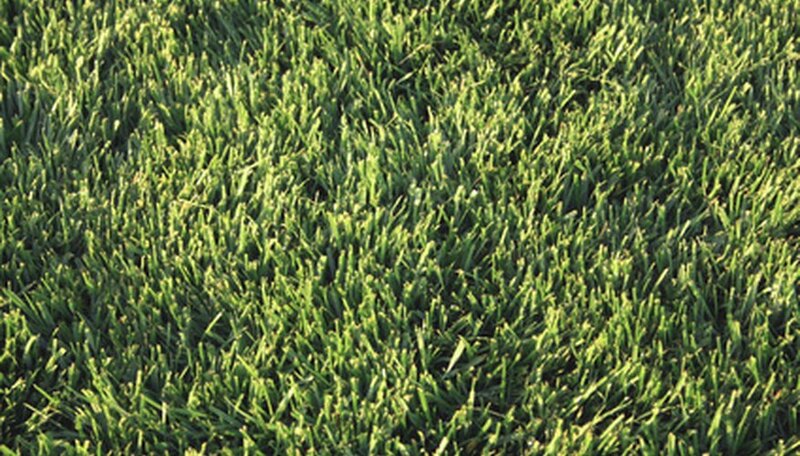 According to Outside Pride, the best grasses for use in Massachusetts are ryegrass, fine fescue and bluegrass. Some homeowners use zoysia grass, though this turns brown six months of the year in Massachusetts. Plant grass seed in the spring when the ground can be worked. Irrigate grass in the hot humid summers to keep it green. Take lawn furniture, barbecue equipment or other large objects off your lawn. Leaving them on the lawn means your grass seed won't grow beneath them, creating a patchy lawn. Mow your lawn as short as possible using a lawnmower. If you have no existing lawn, skip this step. Even out the grade of your lawn by adding topsoil to valleys. You can create a hill in this manner, too. Rake bare patches on your lawn using a hand rake. Loosen the top 1/4 inch of soil so your new grass seed can sprout. Scatter a grass seed recommended for planting in Massachusetts across your lawn by hand or by using a mechanical spreader. If you don't have a mechanical spreader you can rent one at a home improvement or rental center. Apply 16 grass seeds per inch, as Greenview Fertilizer recommends. Cover the grass seed with 1/4 inch of soil only if you've planted over a bare lawn. Grass seed sown on an existing lawn doesn't need a cover, since the grass keeps it from blowing away. Water your newly planted grass seed until the ground becomes moist, but not saturated. Continue to water every day until the ground becomes moist; discontinue watering when the grass is 2 inches tall.